Comments this week from Turkish President Recep Tayyip Erdoğan increased speculation that Turkey has been holding jailed US pastor Andrew Brunson hostage since last October in order to extract political concessions from the United States. Rev. Andrew Brunson has been detained since October 2016. Addressing the parliamentary assembly of his ruling Justice and Development Party on 30 May, Erdoğan warned that under international agreements, Turkey could retaliate against countries refusing to extradite Turkish nationals accused by Ankara of links to Fethullah Gülen, the Turkish Muslim cleric accused of plotting the failed July 2016 coup attempt to overthrow the Turkish government. “I am calling out to the whole world. I am saying that if you don’t help us … know that if your [citizens] fall into our hands someday, you will not be able to get them back,” Erdoğan declared. For months, Turkey has been demanding that the US extradite Gülen, an elderly Islamic leader based in Pennsylvania for the past 20 years. Ankara is also insisting that Germany and other European governments extradite the hundreds of Turkish military officers, academics, journalists and judicial personnel who have gone abroad and applied for asylum in the wake of the massive legal probe into more than 150,000 Turkish citizens suspected of links with the Gülen movement. But despite President Erdoğan’s face-to-face meeting with US President Donald Trump in mid-May, Washington has yet to confirm that it has received “clear evidence” against Gülen that satisfies US judicial processes. Brunson was arrested last October in the Turkish coastal city of Izmir, apparently over his alleged missionary activities in support of two terrorist enemies of the Turkish government: Gülen, accused of orchestrating the attempted coup; and militants of the outlawed Kurdistan Workers Party (PKK) fighting the Turkish state for Kurdish self-rule inside Turkey. Brunson’s wife Norine and his congregation at the Izmir Resurrection Church have been hounded by local reporters since a media smear campaign began two weeks ago. 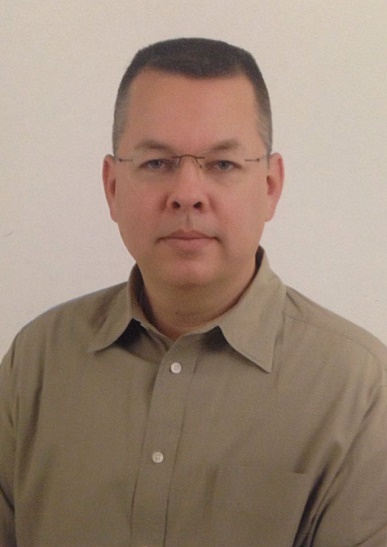 But none of the actual charges which Turkish authorities claim make the pastor a “national security risk” have been revealed to either Brunson or his Turkish lawyer. His entire legal case file remains sealed, eight months later, fuelling suspicions that the “secret witness” accusations against him are trumped-up charges. Back in March, Prime Minister Binali Yildirim had indicated Turkey could consider “accelerating” the jailed pastor’s trial process, but he scoffed at suggestions that Brunson’s case had anything to do with Gülen’s extradition. “These matters are separate,” he insisted to a USA Today reporter visiting Ankara. But Turkish Protestant church leaders monitoring the Evangelical Presbyterian pastor’s dilemma remain apprehensive, calling for the prosecutors to produce a formal indictment and open a court case. But according to Ayhan Erdemir, a former Turkish opposition parliamentarian now a senior fellow at the Foundation for Defense of Democracies, “The Turkish government has no intentions of providing Pastor Brunson a fair trial. Ankara sees Pastor Brunson as a hostage that they can use as leverage in their relations with the United States,” he told Al-Monitor. In the meantime, public tensions over the stand-off have been spawned in Turkey by a flurry of negative coverage by the pro-government media, targeting Brunson. Just four days after Erdoğan met with Trump, a front-page story in the Takvim daily claimed Brunson ran an “extensive intelligence network” and was tipped to become director of the CIA if the July coup attempt had succeeded. The article also accused Brunson of providing “material and moral support” to the PKK. Takvim is published by the Turkuvuaz media group, run by the brother of Erdoğan’s son-in-law, Turkish Energy Minister Berat Albayrak. 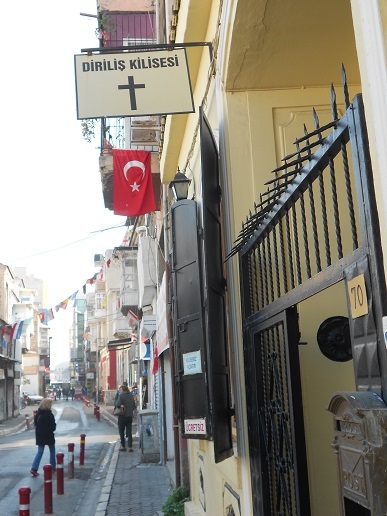 Using heavily ultra-nationalist rhetoric, one newspaper dubbed Brunson “the dark priest” and another accused him of delivering sermons “with a special purpose” to the Kurds at his Izmir Resurrection Church. He was also reported to have been a follower of Gülen for 28 years, meeting repeatedly with a regional Gülen leader near Izmir, and being on the Islamic cleric’s payroll. Since the media smear campaign began two weeks ago, Brunson’s wife Norine and his Izmir congregation have been hounded by local reporters. Although Brunson is now allowed restricted visits by his wife, lawyer and US consular officials, he continues to share a crowded cell (designed for eight prisoners) in Izmir’s high-security Sakran 3 Nolu T Tipi Prison with 21 accused Turkish collaborators of the Gülen movement.